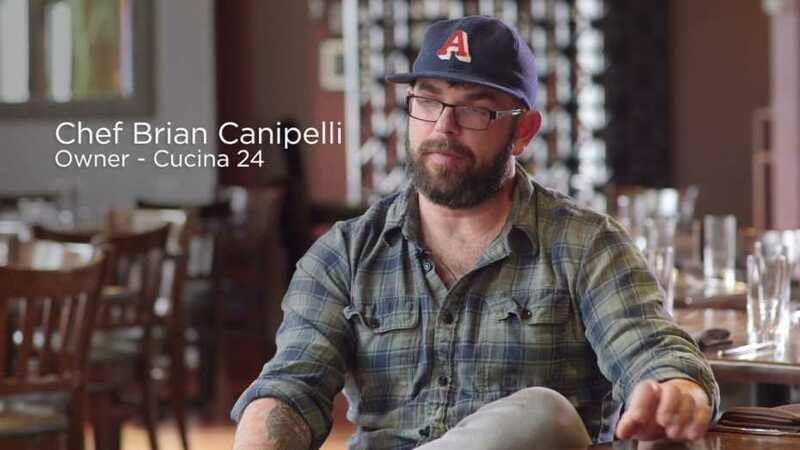 The simplicity of the seasons inspires Chef Brian Canipelli at Cucina 24. 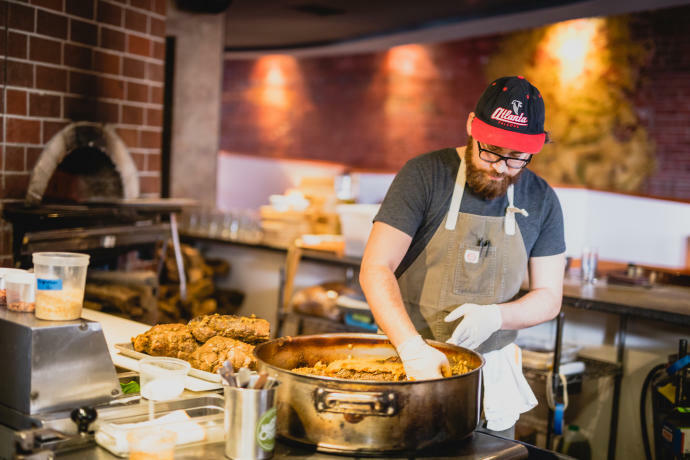 He gathers local ingredients at the peak of flavor and combines them with traditional Italian concepts to make something uniquely Asheville. Canipelli estimates that 75 percent of the produce at Cucina comes from local farms. He sits down with growers each spring to flip through seed catalogues and choose the perfect potatoes for gnocchi, or the ideal radicchio for a particular cheese pairing. Sometimes ingredients arrive unexpectedly on his doorstep, like when a farmer dropped by with fresh cantaloupes one summer. Canipelli didn’t have cantaloupe on the menu, but within a few days cantaloupe sorbet was a customer favorite. Canipelli’s philosophy of putting local ingredients first doesn’t lend itself to lifting ideas from trendy cookbooks. “We find ourselves in Asheville in the mountains with seasons that don’t necessarily correlate with the calendar,” he says. Asparagus is a popular side dish at many high-end restaurants, but it’s only available locally for about three weeks each spring. “When it’s gone it’s gone,” he says. “It keeps us changing things all the time. 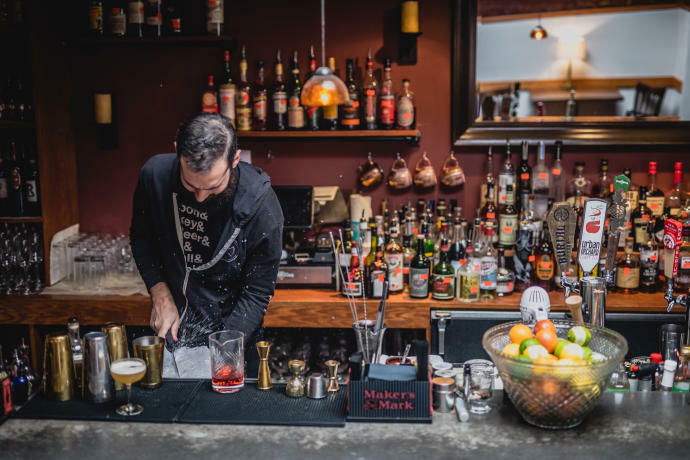 The bar program at Cucina 24—under the direction of Beverage Director Donnie Pratt—also keeps pace with the rhythm of the seasons. Farm-fresh herbs and edible flowers add complexity to cocktails, and local delicacies like scuppernong preserves are only available when the grapes are in season.